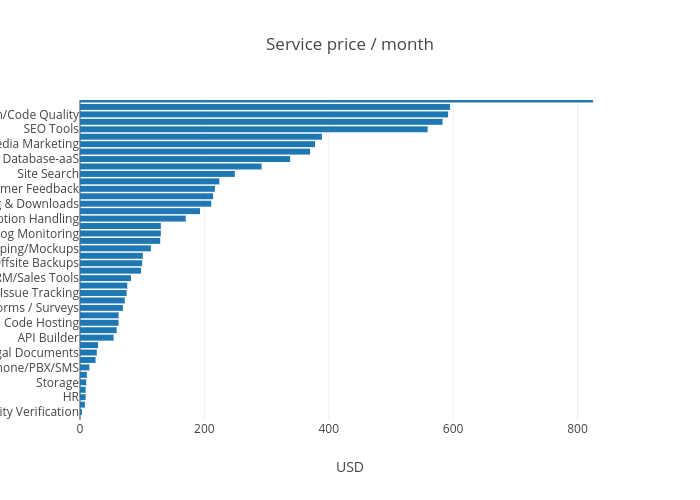 Metamn's interactive graph and data of "Service price / month" is a filled bar chart, showing trace 0; with USD in the x-axis. The x-axis shows values from 0 to 868.421052631579. The y-axis shows values from -1.0657894736842106 to 41.93421052631579.